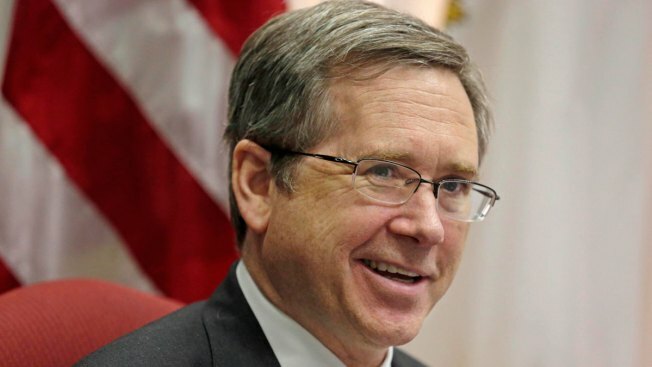 After casting his ballot at the Highwood Recreation Center Tuesday, Sen. Mark Kirk told reporters that he voted for disgraced former CIA Director David Petraeus as a write-in presidential candidate. After pulling his endorsement of Republican presidential nominee Donald Trump in June, Kirk announced that he would write in Petraeus for president. Kirk distanced himself from Trump after the divisive billionaire made inflammatory statements about the heritage of a Hispanic judge presiding over civil fraud lawsuits against his beleaguered Trump University. Kirk’s vote for Petraeus won’t count because the retired four-star general is not registered as a write-in candidate in the state. The former CIA director resigned from his post in 2012 following a scandal stemming from an extramarital affair with his biographer, Paula Broadwell. He ultimately pleaded guilty in federal court last year to a charge of unauthorized removal and retention of classified information for supplying documents to Broadwell. After facing criticism about his pick, Kirk changed course in July and started backing Former Secretary of State Colin Powell, a fellow four-star general who would also be a write-in candidate. In August, Kirk flipped back to backing Petraeus because Powell supported the Iran nuclear deal, something the senator staunchly opposes. However, in the lead-up to Election Day, Kirk was unclear about who he would back. In August, the Kirk campaign faulted Clinton for her positions on national security and the Iran deal, as well as “her careless actions regarding the handling of classified information.” On Tuesday, Kirk said that, as a lawyer, he was unable to distinguish between Clinton and Petraeus’ cases. “I think there’s a lot of explaining to do by the Justice Department to explain how they treated the two cases differently,” the Republican said. Additionally, the senator said he hopes he and Duckworth can meet at the Billy Goat Tavern for cocktails once the contentious race is over.